We are a freelance dive operation supported by different dive organizations: Naui, PADI and IANTD. With our private service, your underwater moments become unforgettable memories. You are able to schedule all your dives before you arrive to Mexico. DiveXplor can conduct all your exploration dives and take you to extraordinary dive locations! Providing private tours for families, groups of friends, honeymooners, or dive clubs! It will be our pleasure to take care of you! We are located where you are! Behind the scenes - Dive Xplor will start operations in 2010 in the Yucatan Peninsula. The owner couple has been diving in Riviera Maya for 10 years. They will be your personal DiveXplor guides and instructors. With them you will have everything prepared for your dives and your transportation to the dive locations is taken care of. They are both well known for emphasizing safety and you are definitely in safe hands. Anna and Gerardo have experience diving in a wide variety of environments, from the icy Baltic Sea to scientific diving in the Caribbean and the Gulf of Mexico's coral reefs, and exploring the world's largest underwater cave system right here in the Yucatan peninsula. Their familiarity with Riviera Maya and their diverse backgrounds, encompassing qualifications from IANTD, PADI and NAUI, mean you will be in professional hands. You will have amazing dives in our Caribbean waters, and don't forget we offer training options ranging from recreational dive programs to technical IANTD courses. A different way to dive mexico ! The way these guys operate is quite unique ! Why have a diveshop when your customers want to spend time in the sea ? 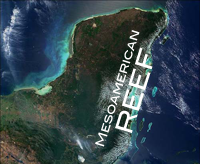 Indeed this means that they are geared up to get to the cenotes and reefs alike. You should take a look at their site and find out more. They have offices based in Playa Del Carmen. 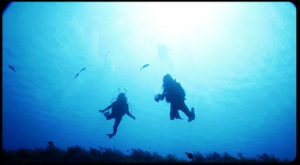 If you have dived with Anna and Gerardo with their experience please register and tell us how it went for our readers.